A native of Jackson, Tennessee, Dr. Aguayo received her Bachelor of Science degree from Ole Miss. After earning her medical degree at East Tennessee State University with the Air Force Health Professions Scholarship, she completed her residency training at Keesler Air Force Base. She then served twelve years in the United States Air Force. 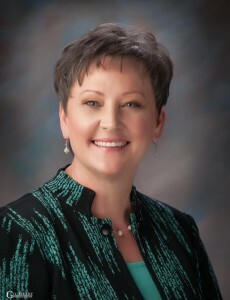 Since coming to Huntsville in 2004, she has served on the Medical Executive Committee and the Physician Leadership Group at Crestwood Medical Center. In her spare time Dr. Aguayo enjoys cooking and gardening. She is happily married to her husband Mark and has 2 sons, Caleb and Luke.